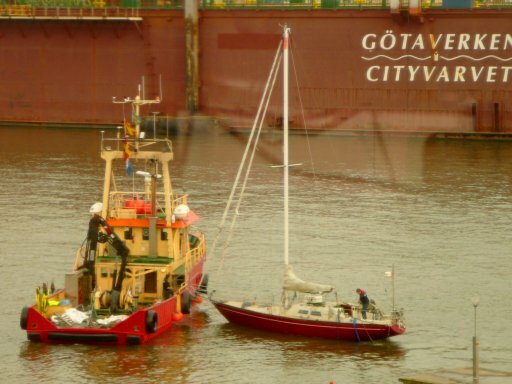 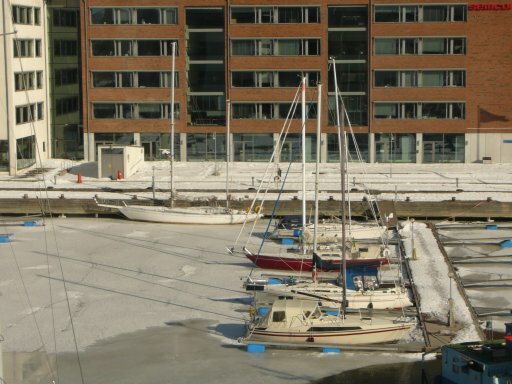 This is what the harbour normally looks like, from my office window. 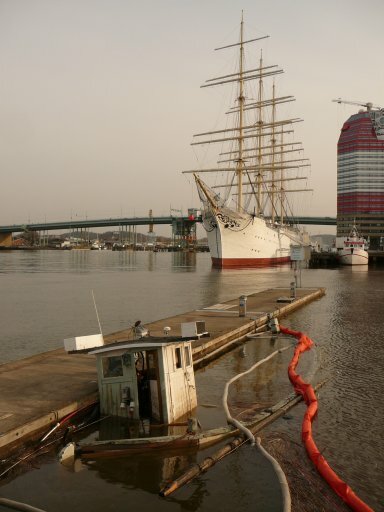 As a second mast appears, you realize the size of this thing. 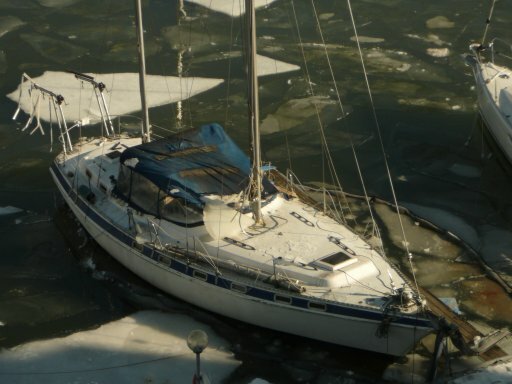 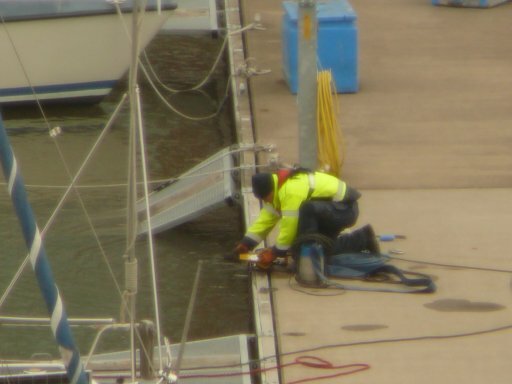 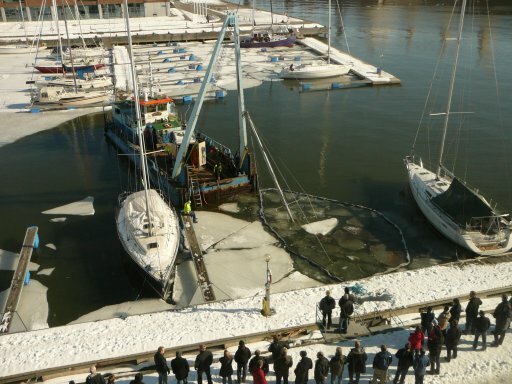 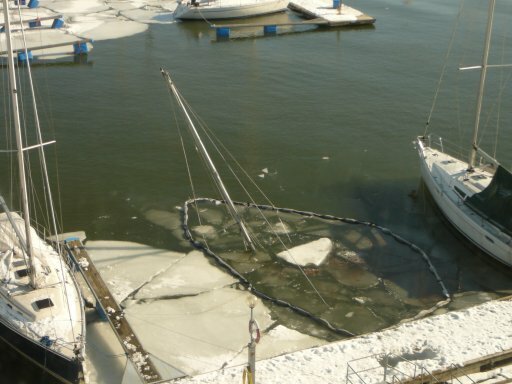 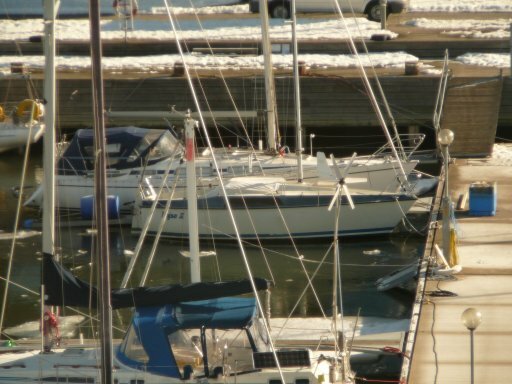 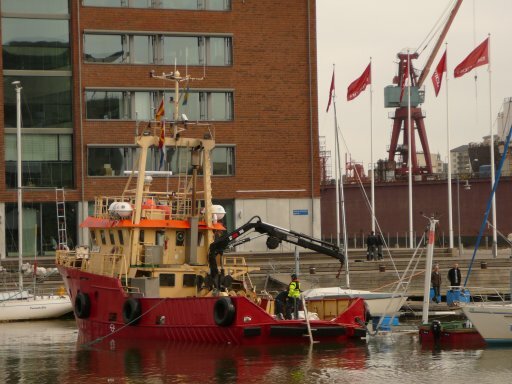 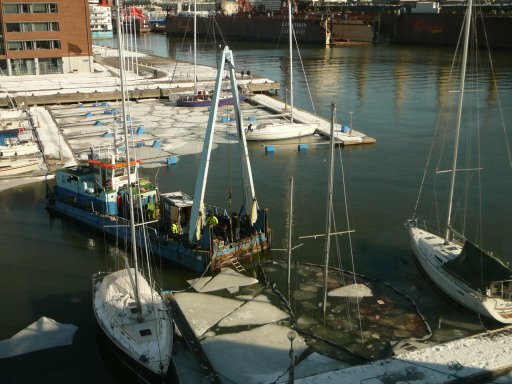 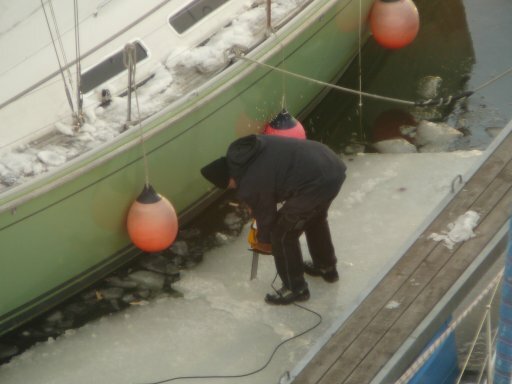 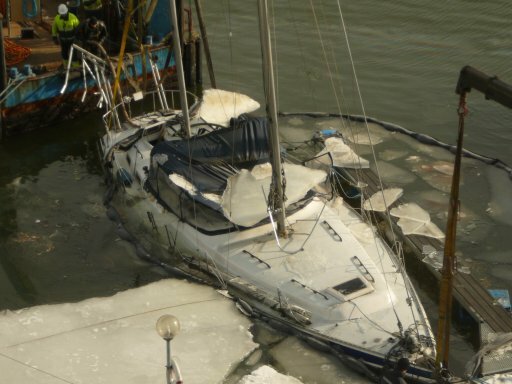 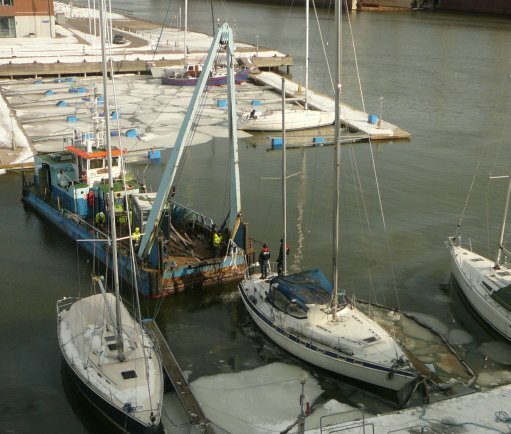 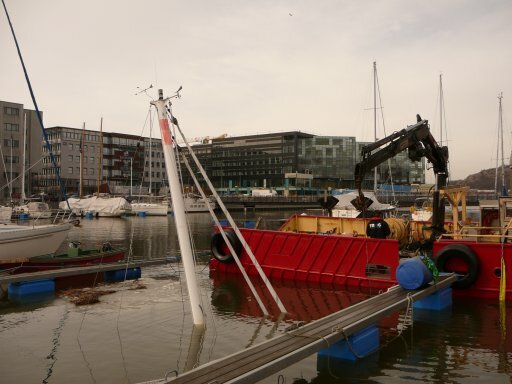 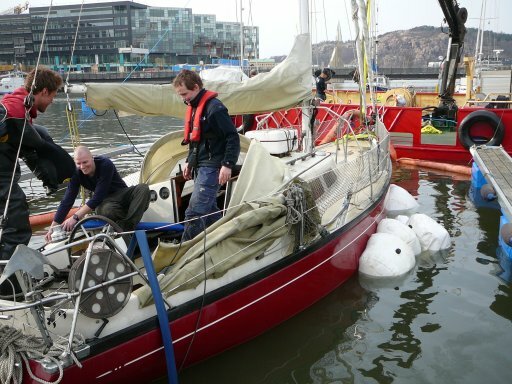 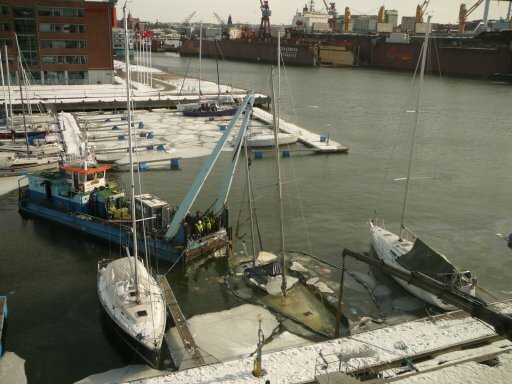 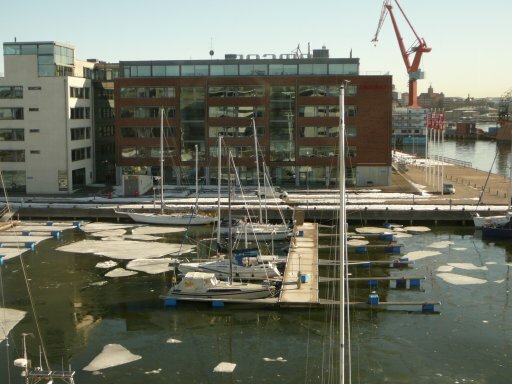 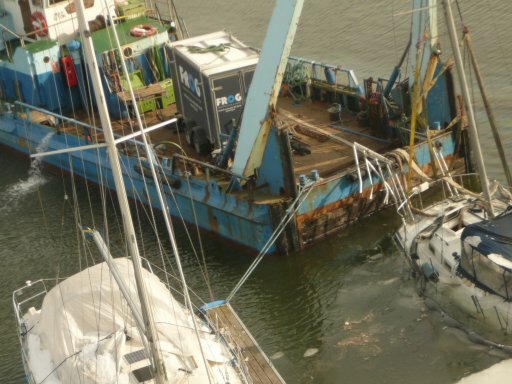 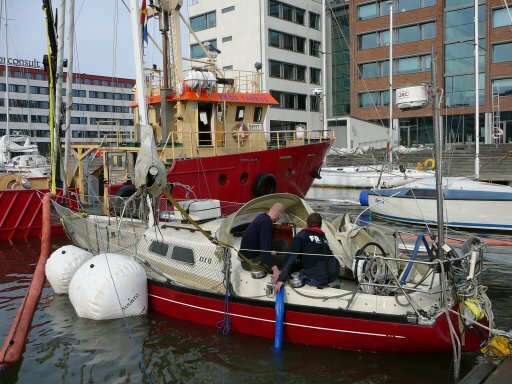 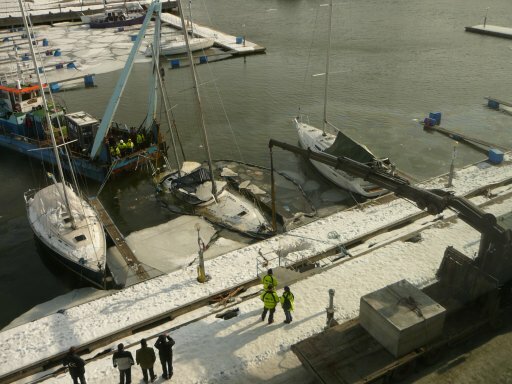 Some boat owners suddenly start caring for their boats, removing some ice. 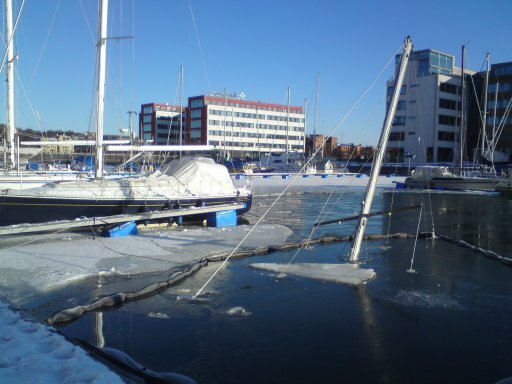 A few days later...something else is wrong? 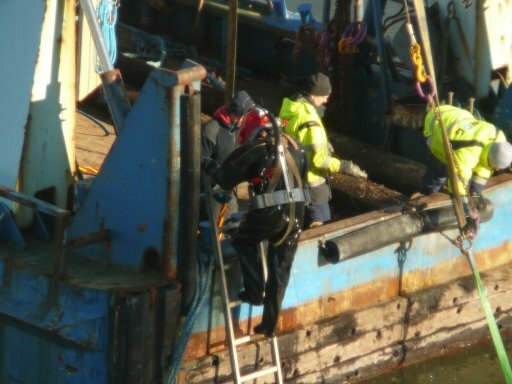 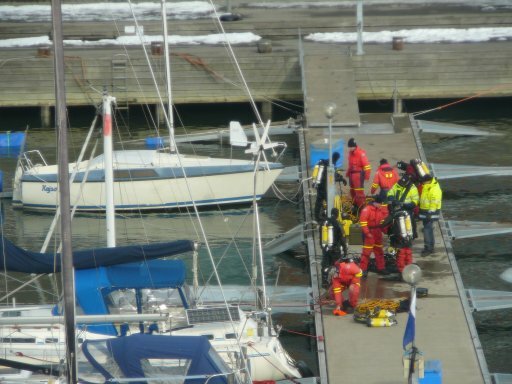 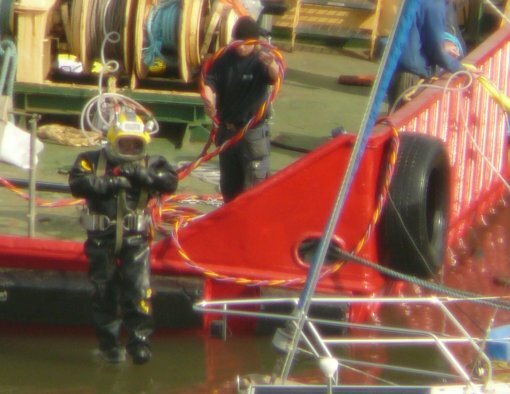 A diver goes down to attach air balloons to the boat. 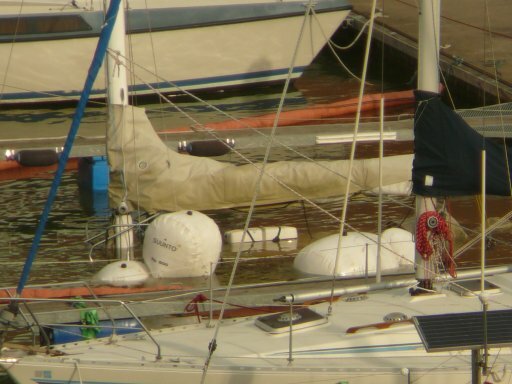 As they fill them with air, the boat surfaces. 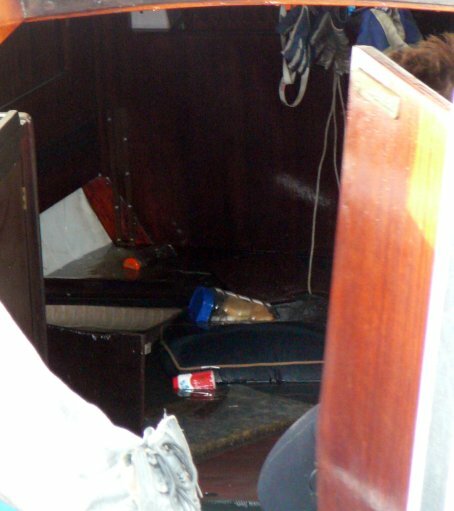 A peek inside...a cookie jar floating around.